I stopped the Blazer. Unless Tom had pointed it out, I would never have thought the faint track to be a road. It wasn’t level. I didn’t think it safe. The official mine entrance was clearly visible, boarded up and chained. A rusted sign provided dire warnings of a rocky, watery death and urged all to avoid the temptation to explore. 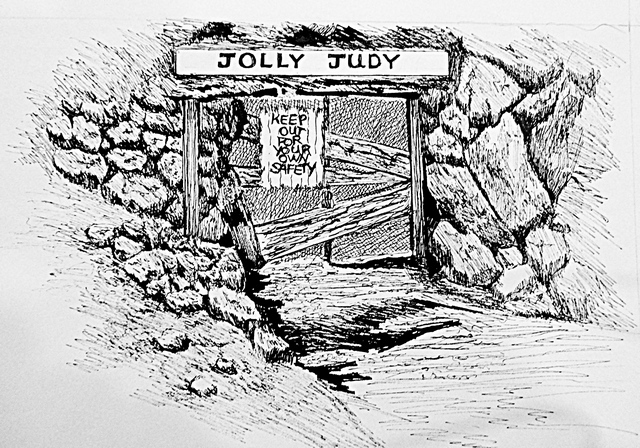 A noisy, yellow creek bubbled out beneath the door, full of the noxious heavy metals unlocked from their rocky grave by miners interested only in gold and silver. The water rushed across the road and tumbled to join other pollution in the Baldwin River. The water wasn’t safe to drink until several miles downstream where cleaner water mixed in.